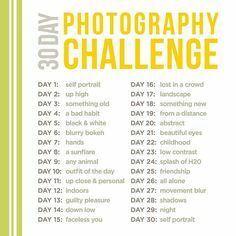 Another way to keep up the momentum is doing a month long challenge. Start at the beginning of each month with something you want to achieve. Either do the aim every day, possibly at the same time, or do it daily or often (every other day) but keep adding to the challenge and see if you can reach the last day of the month. Play the Minimalism game. On the 1st of the month, declutter one thing, on the 2nd, two things, 3rd, three things and so on. See how far you can get. I got to about the 20th and then it all started to unravel and I just got rid of what I could. The house is clearer though, so was pleased with the result. Do an exercise challenge. On day 1 do one press-up. Easy, but by day 28, (28 press-ups) not so easy. During previous years, I’ve done the exercise every day challenge. You do something every day and then blog or tweet about it. Starts off ok, but towards the end my enthusiasm did run out and it became arduous. However, when you look back over the month, you get a feeling of accomplishment. I did London walks, country walks, gym, and running. Also, if you take photos along the way, it makes the challenge interesting. Talking about taking photos, how about the photography challenge? You are given an option each day and you have to take a photo such as door, shade, night. Then post the daily pic. on social media. Hope the above gives another perspective on planning your aims. Thanks for reading and I hope my pearls of wisdom prove useful. Have fun!